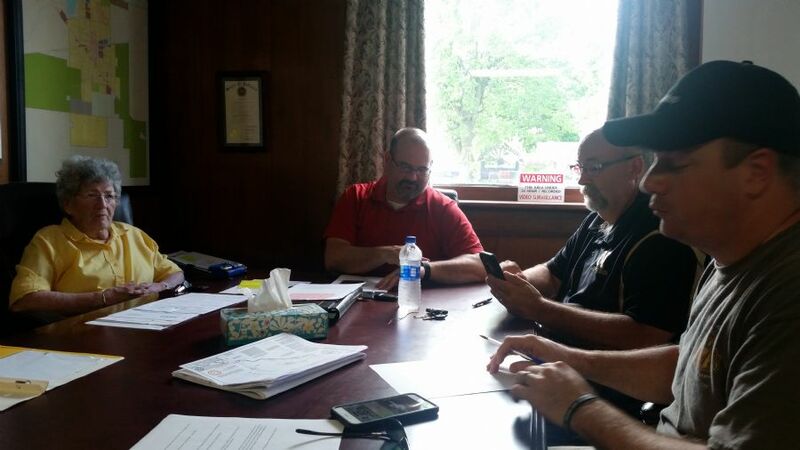 The Lapel Park Board held a regular meeting at Lapel Town Hall on Monday May 14th. Members present Bill Hutton (President), Andy Morgan, Linda Hormell and Steve Tipps. A member of Boy Scout Troop 361 would like to build a new park shelter on the concrete pad next to the playground equipment at Memorial Park as part of an Eagle Scout project. The Eagle Scout board has accepted the project, and he is currently looking for donations to help complete the project. The new shelter would possibly be solar powered allowing for a small light in the evenings. The monetary donations for the project can be made to the Town of Lapel at Town Hall, any money left over will be kept as a donation to the Parks Department. Grading work on the diamonds has been completed. Mr Fence will likely complete installation of the fencing around the diamonds within the next month. Drainage Work has been completed and looks good. Plumbing at the concession stand has been completed, once concrete is poured construction on the building structure can begin. The Board approved a proposal from Kinetic Recreation to replace 10 swing seats, this includes both paths. The Splash Pad is planned to be open on or after Memorial Day.